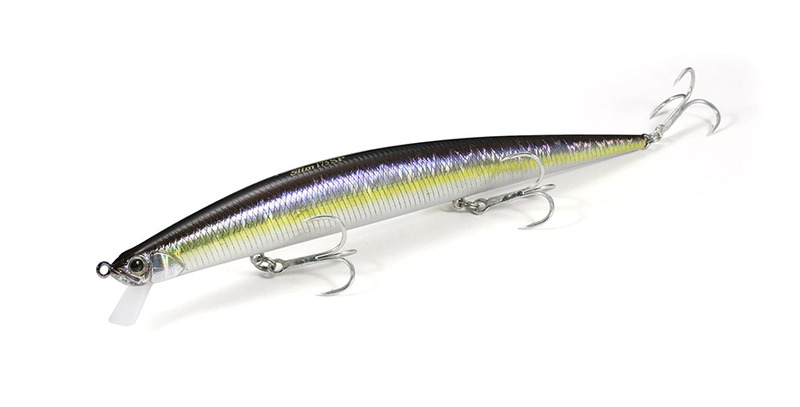 The Tide Minnow Slim 175 is a legend that needs no introduction. Here we are introducing the all new suspending version, the 175SP. This evil twin will sit quietly in the water until a jerk fires up its enticing moves and gets a bite. The 175SP can be used in many waters but it is at its best suspended in the soothing salinity of the Mediterranean Sea for which it was primarily developed.